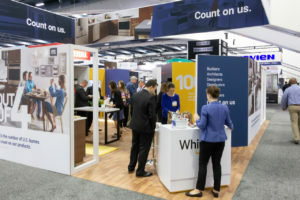 Whirlpool Corporation announced today the extension of its exclusive appliance collaboration with KB Home, one of the nation’s largest homebuilders, for the next three years. This agreement builds on more than 25 years of collaboration between the companies. As a result, homes in all newly constructed KB Home communities will continue to be outfitted with Whirlpool® and KitchenAid® brand appliances. KB Home is an industry leader in sustainability, building innovative and highly energy- and water-efficient new homes. Since its founding more than 60 years ago, the company has built nearly 600,000 homes for families from coast to coast. 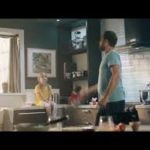 Whirlpool Corporation offers KB Home a strategically crafted portfolio of brands based on consumer insights and more than 100 years of experience in the appliance industry. In addition to offering Whirlpool and/or KitchenAid brand appliances in each home, certain Whirlpool appliances will be available as options in the builder’s new KB Smart Home offerings. The flagship brand of the company, Whirlpool brand helps families thrive through connectivity and purposeful innovations that sense and adapt to the way they live. KitchenAid is the ideal choice for homeowners passionate about their culinary creations and looking to upgrade their appliance experience. The brand delivers the superior performance home chefs need with the design appeal they desire. For more information about KB Home, visit www.KBHome.com. 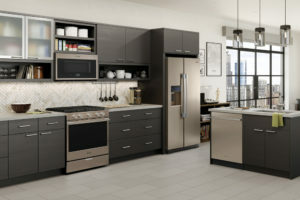 For more information about Whirlpool Corporation, its portfolio of brands and other offerings for building industry professionals, visit www.WhirlpoolPro.com. KB Home is one of the largest homebuilders in the United States, with more than 600,000 homes delivered since our founding in 1957. We operate in 35 markets in seven states, primarily serving first-time and first move-up homebuyers, as well as active adults. We are differentiated in offering customers the ability to personalize what they value most in their home, from choosing their lot, floor plan, and exterior, to selecting design and décor choices in our KB Home Studios. In addition, our industry leadership in sustainability helps to lower the cost of homeownership for our buyers compared to a typical resale home. We take a broad approach to sustainability, encompassing energy efficiency, water conservation, healthier indoor environments, smart home capabilities and waste reduction. KB Home is the first national builder to have earned awards under all of the U.S. EPA’s homebuilder programs — ENERGY STAR®, WaterSense® and Indoor airPLUS®. We invite you to learn more about KB Home by visiting www.kbhome.com, calling 888-KB-HOMES, or connecting with us on Facebook.com/KBHome or Twitter.com/KBHome.